I wonder what could possibly be going on here? Was it some sort of protest or meetup? 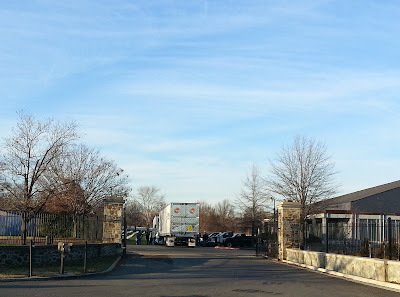 Then Shira nailed it: they were delivering wreaths to Arlington Cemetery for their Wreaths Across America project. Man, that's a lot of wreaths.